Also, it certainly lives across an amazing array of habitats. It is one of the world's most adaptable animals and one of the most successful mammals on earth. The whitetail is part of the order Artiodactyla and the family Cervidae. This family of mammals also includes moose, elk, and caribou. “Most hunters greatly overestimate the weight of the deer they bag, Across the eleven northeastern states the whitetail buck averages 140– 150 pounds on the hoof, the doe some 25 pounds less.” Said in the Safariors website. Anywhere in our region, a 200-pound dressed (gutted) deer is a very big deer, even though a few 300-pounders are bagged very infrequently. 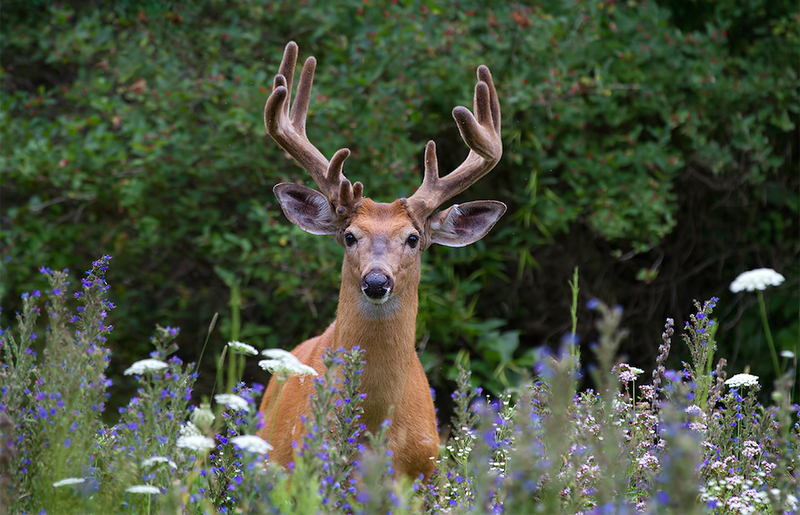 Some of the largest northeastern bucks are taken in the rugged mountainous regions of the Adirondacks, Vermont, New Hampshire, and especially Maine. One big reason why bigger deer are not commonly taken outside these areas is hunter pressure: A whitetail continues to add weight throughout its life, but in most accessible areas relatively few deer make it past 18 months. Natural selection also plays a role; in the rugged north country, only the biggest and strongest survive. Nonetheless, farm country offers better food for deer and some very big, fat healthy bucks are shot each year in the farm or suburban areas of New York, Pennsylvania and even New Jersey and Maryland. Fawn bucks shot in their first year usually have short antler nubs or "buttons." 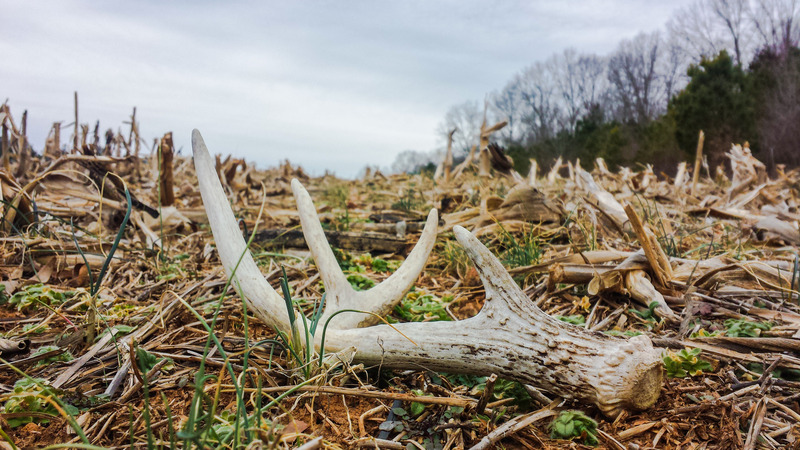 Under normal conditions, antler growth proceeds as follows: 18-month deer, large spikes or fork horn; 30 months, four to six points; 42 months, six to eight points; 54 months, eight points or more. With age, a deer's antlers become both wider in their spread and heavier. Ten and twelve point bucks are not especially uncommon, and of course, there are instances when many more points develop. Deer shed their antlers annually, usually between late December and February. Last year, I saw five magnificent bucks running together within a protected park and all still had their antlers. It was early March. Perhaps good feeding conditions within the park promoted the antlers staying on later than usual - I don't know. The above antler statistics are strictly rough guidelines. 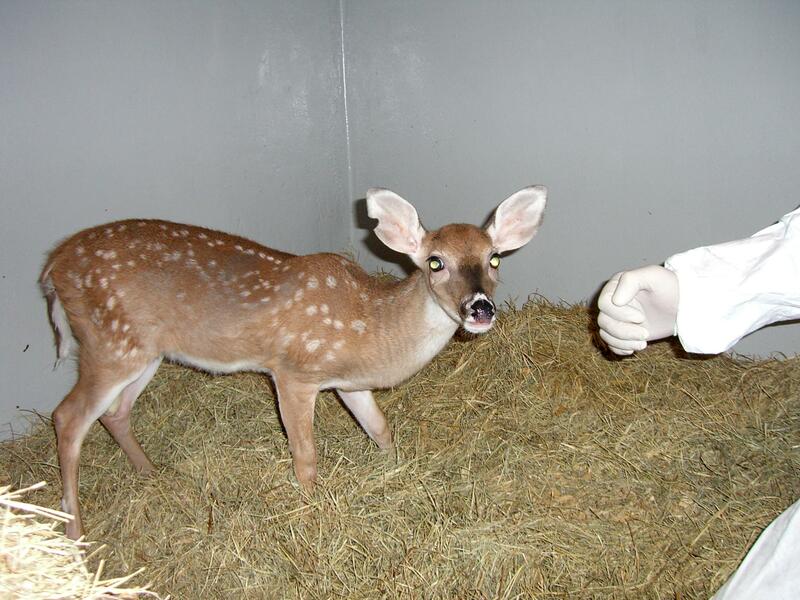 Antler development varies greatly as a reflection of genetic and environmental factors, especially food. Deer are well protected from the cold by a thick, insulating coat of hair. As far as color, deer vary but little. Brown is the predominant overall shade, though greys and even reddish hues can mix in to create an off-brown effect. There is considerable white also: on the underside of the tail, around the eyes, on the stomach, on the rump and in patches on other parts of the animal. Deer breeding (meaning naturally, in the wild) is a subject of great interest to whitetail hunters, for it is during the relatively brief "rut" that bucks lose some of the exceptional cautions that marks their behavior the rest of the year. In the northeast, the longest extent of the rut is from about early October to late January; breeding outside this range would be rare but not unheard of. However, the vast majority of breeding occurs in November, and some well-regarded deer authorities claim the peak of the rut is November 9-19 at our latitude. One expert even claims that there is a peak or "frenzy" period within this time frame, encompassing the days November 12-14. My own observations bear this out to the letter. Usually the week before deer season I am out scouting and shooting with scopes and rifle and also anytime between November 10th to 14th I almost always see bucks with does (relatively rare outside of the breeding season). On November 10th in New York's Catskill Mountains, we were driving to a trailhead from which we planned to hike in to check out a campsite for the following week's opener. In our Deer Hunting Trips Scouting is always an important part. In the last trips, we had a great scouting experience. I will discuss on our finding on deer hunting scouting techniques as well as how we went with the scouting. The experience of deer hunting scouting will give you the first-hand impression and guide for finding the areas of deer hunting. 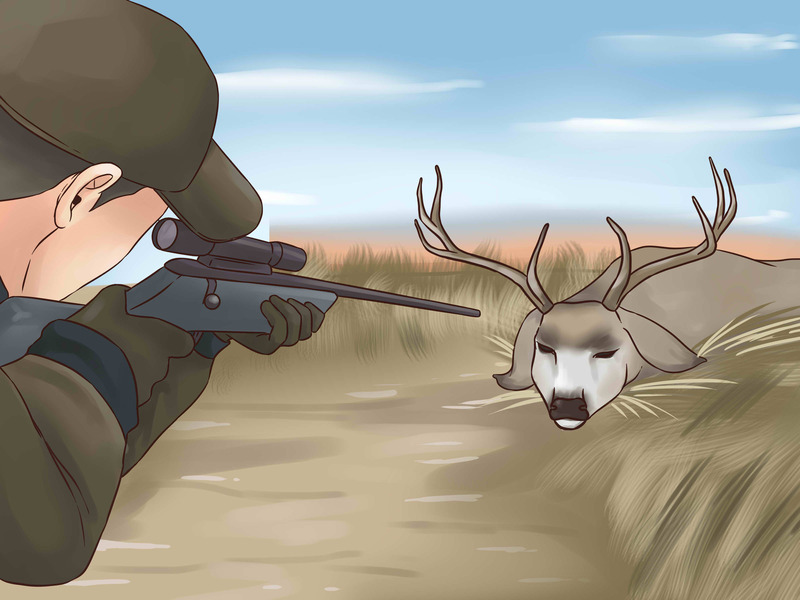 Along with proper hunting equipment, the guide will help you enhancing performance for the game. My brother and an uncle collected three Canada geese and a pair of ruffed grouse during a preseason check for deer sign one fall. They bagged more game that day than they often do when intentionally hunting small game or waterfowl. Our luck isn't always that good on scouting trips, but the results of that day are indicative of what can be one of the peripheral benefits of preseason reconnaissance. 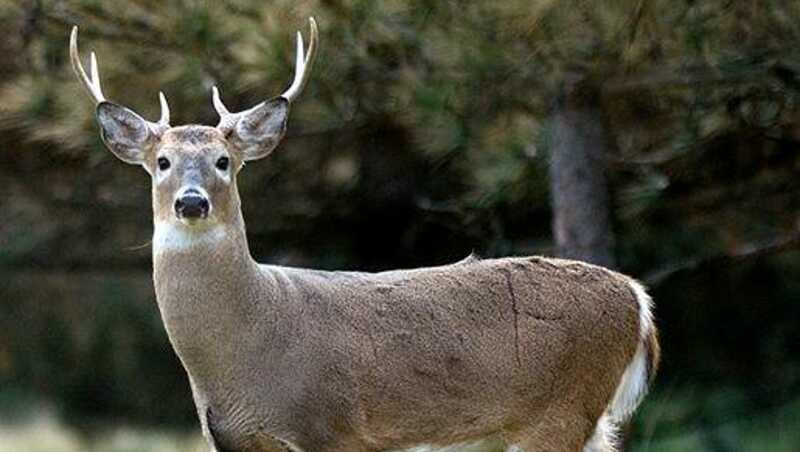 In many states, bow deer season is open until the gun season begins. Under these circumstances, you can be scouting for the gun hunt while afield with archery equipment. The week before deer season opens is usually the best time to scout an area. Starting sooner is a good idea if the location isn't far from where you live and you will be hunting it for the first time. When hunting out of state, scouting must often be restricted to the two or three days before the season, but anything is better than starting cold at the crack of dawn on opening day. 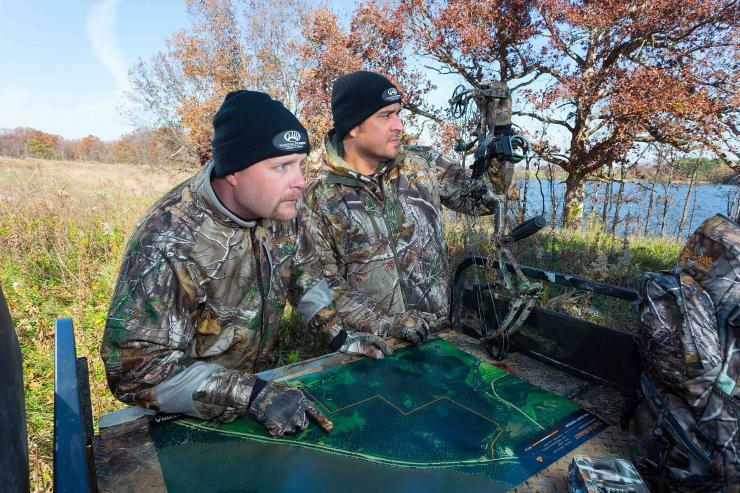 What do you look for when scouting an area for deer hunting? Feeding and bedding grounds, regularly used trails, signs of buck activity, and deer themselves are the primary things to watch for. Water holes should be considered in terrain where water is in short supply. I spend most of my time checking remote locations or those near heavy cover when visiting a new area. This type of terrain invariably gets the heaviest use by good bucks throughout the year, but especially once the shooting starts. While scouting the territory I also try to anticipate where other hunters might be. I prefer not to hunt too near other people, but sometimes it is unavoidable. If I find someone's blind, I go elsewhere in search of a place to hunt. In open country, it is often possible to look over a lot of territories from observation points with the aid of binoculars or spotting scopes. Under these circumstances, deer movements can usually be observed. 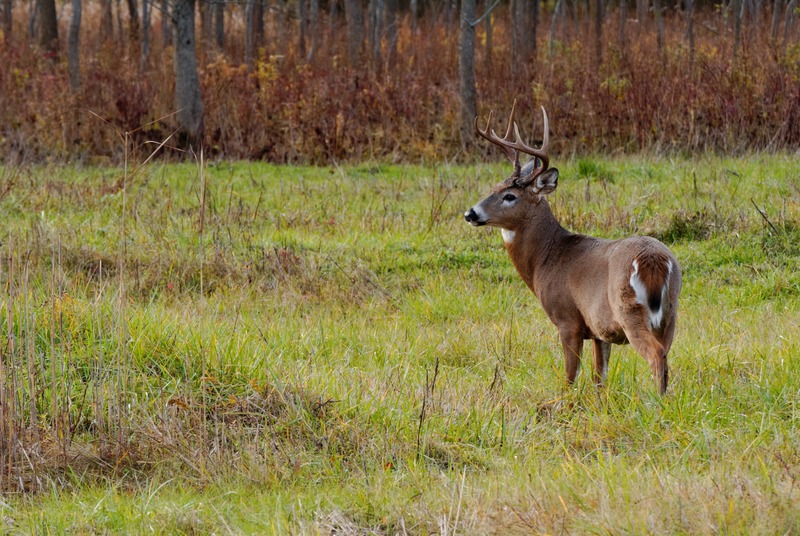 Animals that aren't disturbed will generally be found in the same areas once deer season opens. One fall Dave Raikko and I were hunting mule deer from a drop camp in the Colorado Rockies. We got to our camp a couple of days ahead of the season to look the area over and adjust to the altitude. The first morning out we located a group of bucks using a patch of willows above timberline. They were still there opening day. We both dropped our deer there on the first day of our hunt. Centers of deer activity in wooded terrain can be determined by reading the signs. Trails or runways used regularly will usually be well worn. The course of a runway through grass or weeds is marked by a narrow lane of trampled vegetation. Trails through heavily wooded areas will be marked by a line of leaves that have been scuffed by whitetail or mule deer hooves. Good runways will sometimes be worn right down to the soil in certain spots and tracks can be seen there. Trails are most obvious in sandy areas or when snow is on the ground. Most regularly traveled trails used by deer are routes they take from bedding to feeding areas and back again. Sometimes animals use different runways going each way. Where water is scarce, trails leading to watering areas are also common. Many times the same network of trails will be used as escape routes. Once a good trail is discovered, feeding and bedding areas can be located by following it both ways. Or, if a feeding area is located, runways leading from it will go to bedding grounds and vice versa if a bedding area is found. Preseason scouting is one of the most important parts of any deer hunt, whether hunting an area frequented for years or a location being tried for the first time. Granted, preseason checks of familiar hunting grounds need not take as much time as is required to look over new territory. Nonetheless, doing it or not doing it can play a significant role in determining the number of whitetails or mules that end up on the game pole by the end of the season. 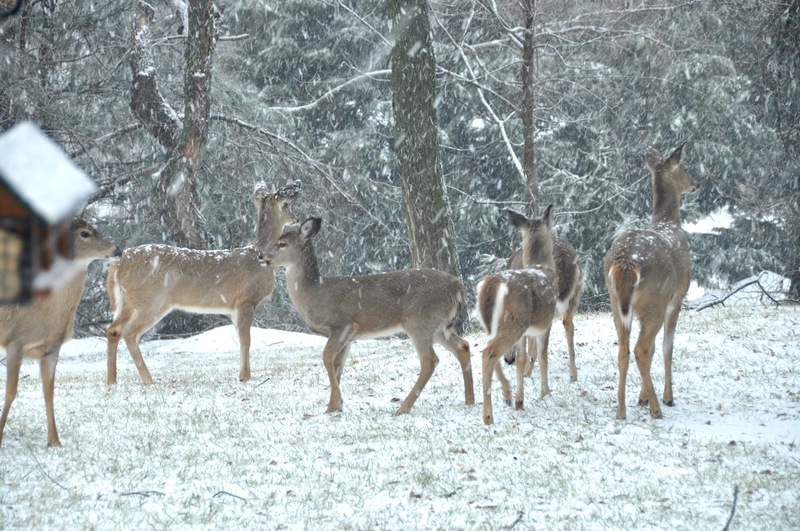 It is not unusual for centers of deer activity to shift from year to year for a variety of reasons. Hunters who fail to detect a change in movement or use patterns before the season opens can lose the most valuable day of hunting of the season: opening day. Two years ago an uncle of mine found what proved to be a hot spot for bucks on state land. The first day of the season he missed a whitetail with a six- or eight-point rack. A spike horn he saw the next day wasn't as lucky. Last season he was all set to go back to the same spot but routinely went to check it out before the season began. It was a good thing he did. A road had been opened in the area and a large field created right where his stand had been. Since there were a few days until the opening day he had a chance to locate an alternate position. This isn't likely to happen on private land, but changes in other factors from year to year such as weather, food availability, or maturing of the habitat can cause shifts in deer abundance and activity in certain locations. Something I try to do when scouting territory hunted year after year is to get into cover I haven't been in before or am not familiar with. This often results in the discovery of new deer hiding places. I often don't get into some of these deer hangouts because they are out-of-the-way or extremely thick. Deer easily find safety in such spots. Also, you need to use the best scope for rimfire rimfles for bettter performance. Some hunters who hunt the same territory every fall get in the habit of using the same stands, making the same drives, or still-hunting the same course all the time. There is nothing wrong with this, but it often leads to overlooking areas that are worth trying. In addition, deer that live in the vicinity are quick to catch on to the routine and may avoid spots where they have encountered hunters. A change of pace may be the ticket to some easy venison. When visiting deer country that will be hunted for the first time, hunters should try to scout as much terrain as possible. At the same time, they are familiarizing themselves with the deer situation, they are guarding against getting lost. This is the second advantage of preseason scouting in an unfamiliar area. Along the same lines, features of the terrain such as boulders or stumps that might be mistaken for deer can be checked out while scouting. Then hunting time won't be wasted looking at these deer like objects. This also makes out-of-place shapes that may be deer more noticeable. Still, a third benefit of visiting hunt locations ahead of deer season is the possibility of combining scouting missions with small-game hunting. Such small game as squirrels, rabbits, grouse, and other game birds provide action in many states right up to the time some deer seasons begin. Some states may prohibit carrying a gun in the field the week before deer season, however; so be sure it is legal before planning on hunting small game when scouting for deer. In the event that you ever wind up purchasing new leisure activity, try hunting out! It’s unwinding, or with relatives and companions! Our Outdoor guide surveys will give bits of knowledge about the apparatus that is offered in calculating supply retailers and stores.